Students - interested in meeting people working in interesting career fields? 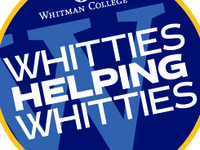 Join us for Whitties Helping Whitties - an excellent way to build relationships, learn more and share your interests with alumni. Join us for refreshments and conversation in the Reid Center Young Ballroom.